I visited Bristol (on the VA/TN border) back in 2003, because I wanted to see where the Carter Family made their first recordings. A highlight of my visit was the Birthplace of Country Music Museum. But the museum was located NOT on historic State Street, where the Bristol Sessions happened in 1927, but outside of town, inside a shopping mall. Though the location was disappointing, the museum was rewarding. 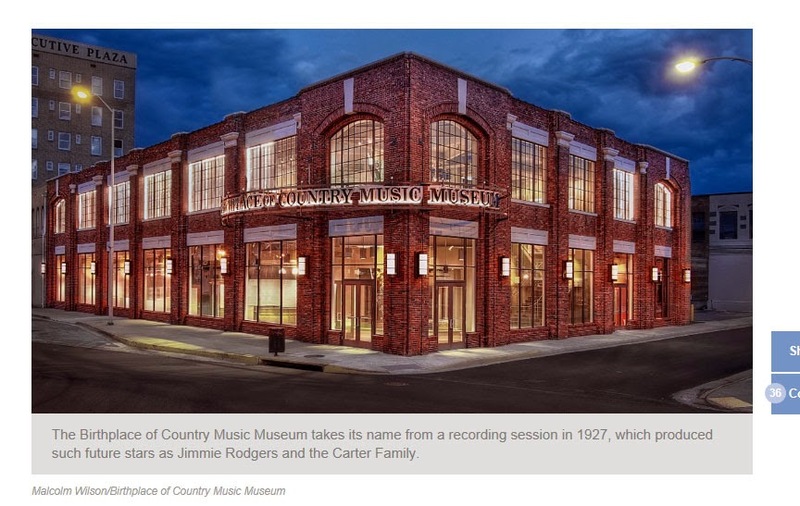 I was so happy to hear the news that the museum has opened in a new location, just off State Street, and its appearance has the blend of charm and authority that a visitor to the site of the "Big Bang of Country Music" would hope for.